The article spoke to how the web has changed after he spending six years in a Iranian prison. In that time, the author talks about how the link has been degraded and devalued as a commodity and how that’s impacted the way we consume news. Before being imprisoned, the web was an infinite universe of information strung together by the mighty hypertext link. Flash forward to today where most of the population relies on Facebook’s trending topics and social feed (and to some extent, Twitter) for their news. That’s not a problem if you want to know the ten most-popular news items that usually feature some combination of Donald Trump, Kim Kardashian and Justin Bieber, but it’s an issue if you actually care about larger issues and want different perspectives. 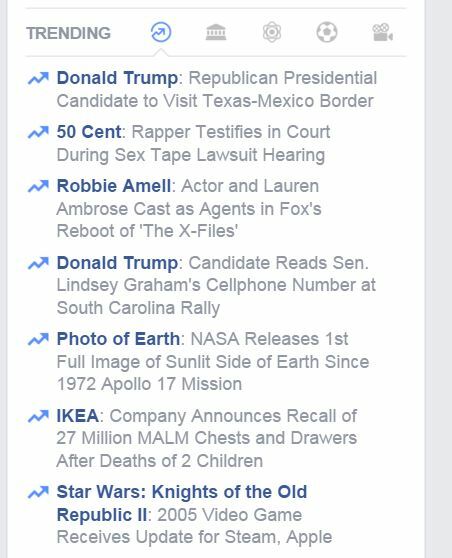 Essentially, Facebook is telling its users what’s important and newsworthy. Hyperlinks are objectivized, isolated, stripped of their powers… But hyperlinks aren’t just the skeleton of the web: They are its eyes, a path to its soul. And a blind webpage, one without hyperlinks, can’t look or gaze at another webpage — and this has serious consequences for the dynamics of power on the web. For me, I took a special interest in the discussion around hyperlinks. The SEO angle of the article was in how the value of links have channged; when social media hit the mainstream, many said the link (and it’s importance to SEO) was on it’s way out. We now know that this isn’t the case. The link has lost a bit of its search significance, but not because of social media; it’s the natural evolution of the search algorithm. In many ways, the link is even more important considering the firehose of links coming out of Twitter, Facebook, and other popular social networks. Today, a link has to stand out even more to be considered. As the author posited, my web surfing behavior has definitely shifted. In this day, it’s no longer about bookmarking ten sites and visiting everyday as we did a half-decade ago. One is more likely to “follow ” fifty Twitter profiles and “like” twenty Facebook pages and consuming what they give you. I remember a decade ago visiting a dozen or so sites I deemed important everyday, but that no longer happens. I do rely on my Facebook feed for some news, mostly as my primary source of pop culture. Facebook isn’t my go to for meaningful news. For that, I use a combination of Google News, friends, apps and tools like Pocket and IFTTT recipes. I’m finding that it’s about having multiple tools for news to ensure your world view is bigger than your Facebook trending news and social feed. Forget WordPress Plugins, Use IFTTT for Tweets, Instragram, Facebook, Etc. The 3 key decisions that made Google the company it is today Finding “Sharer Zero”: How can I see who shared my Facebook post?